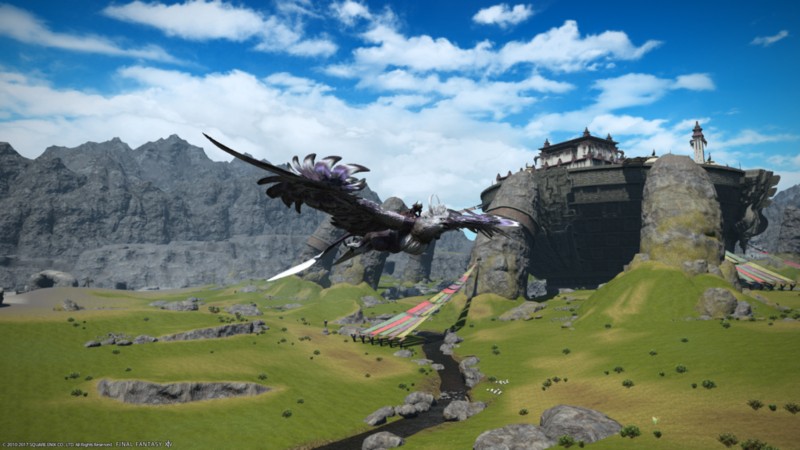 Final Fantasy XIV: Stormblood is an enjoyable expansion, with it being every bit as polished as Heavensward and A Realm Reborn, and like the previous expansion – Heavensward- Stormblood offers a good array of new features. 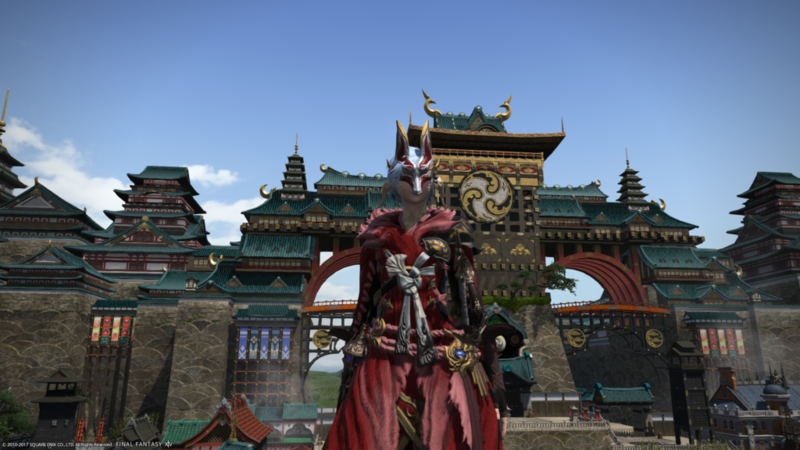 The primary new features are the addition of two new jobs: Samurai (Melee DPS) and Red Mage (ranged magic DPS), an increased level cap from 60 to 70, the addition of swimming and diving, new beast tribes and Primals, a new residential district (although houses cannot be purchases until patch 4.1), a massive PVP update, expanded item inventory, new main story, and most importantly of all several battle system changes. Let’s start with Stormblood’s main story. Stormblood’s story revolves around liberating Ala Mhigo and Doma from more than twenty years of Garlean occupation. The story spans two continents with the fight to free Ala Mhigo taking place on Eorzea and the fight to free Doma taking place on Othad. Personally, I felt Stormblood’s story to be rather poor in comparison to Heavenward’s –the first expansion- as Stormblood lacked that personal touch, now that isn’t to say the story didn’t pull a few heart strings, but I just didn’t feel as emotionally attached to what was happening in Stormblood. The overall story also felt rushed, which in my opinion was due to the size of the expansion, while I’ll try not to reveal too much, the Othad portion of the story jumped from relaxed to assaulting Doma in almost breakneck speed. Now, with my issues with the story laid out I will say the expansion’s main characters do help elevate the story. The main antagonists: Acting imperial viceroy of Doma – Yotsuyu, Imperial viceroy of Ala Mhigo and crown prince of the Garlean Empire – Zenos yae Galvus, and Ala Mhigo collaborator Fordola, are all well fleshed out. Zenos is also an impressive main enemy, he rules with an iron fist and has no issues killing his own men to secure a victory, he is a great enemy to the warrior of light (your character) as he someone that your character could potentially become. I will say Yotsuyu is also an interesting character but explaining why would a massive spoiler. 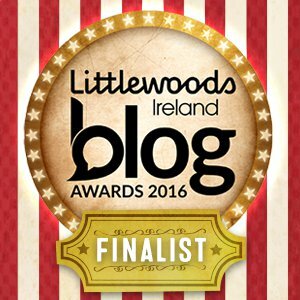 In terms of the main protagonists, Lyse very much takes centre stage. The expansion focuses on the growth of Lyse as she goes from a character who is worried about living up to her sister and father, to being a key part of Ala Mhigo resistance. As you journey the characters that accompany you and Lyse change, although I will say the expansion was at its most interesting when the team consisted of Lyse, Alisaie and you. Speaking of Alisaie, she proves to be a far better travelling companion than her brother Alphinaud, as Alisaie offers a calming wisdom that keeps everyone in check. While in Othad your main allies are Gosestu, Yugiri and Lord Hein, these three only really hang around for the Othad portion of the expansion, but the time spent with them is memorable, especially scenes involving Gosestu. Now, let’s talk about the lands you visit. In Stormblood there is a total of seven new zones: The Fringes, The Peaks, The Lochs, The Ruby Sea, Yanxia, The Azim Steppe and Kugane. There are three zones in Ala Mhigo, three zones in Othad and one zone in Hingashi. The three zones in Ala Mhigo, which are The fringes, The Peaks and The Lochs are all desert/rocky landscapes with the Garlean technology and scars of war dotting the lands. The three zones in Othad are rather varied with The Ruby Sea being an island chain with underwater quest hubs, Yanxia is farming land that shows signs of Garlean conflict, and The Azim Steppe is a vast expanse of grassland where various Xaela Au Ra factions call home. 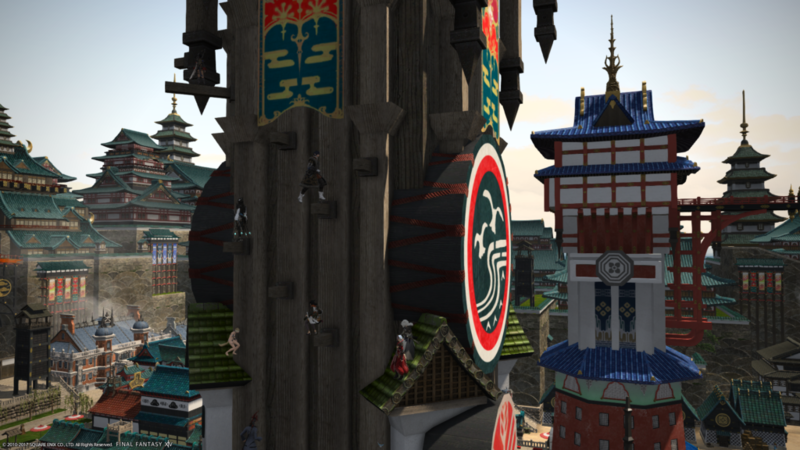 Finally, in Hingashi there is Kugane; Kugane is Stormblood’s main hub and it’s a neutral city that acts as the only port in Hingashi open to foreign vessels. Kugane is reminiscent of Japan’s closed door policy during the country’s Edo period. Of the new zones, two stood out for me: The Ruby Sea and The Azim Steppe. The Ruby Sea was an interesting zone as it highlighted the expansion’s swimming and diving features with a good portion of the zone taking place underwater, the underwater experience offered some great lore and questing experiences. The Azim Steppe was by far my favourite of the new zones, the zone’s story made the zone feel alive as you experienced the different cultures of the various Xaela tribes and took part in a battle that determined which faction ruled above all others. Now let’s look at the new jobs: Red Mage and Samurai. From the start of the expansion until I finished the story I played the Red Mage, the new job impressed me with its versatile nature of going from ranged magic attacks to jumping in close to an enemy and launching a barrage of melee attack before jumping away and continuing with ranged magic attacks. The Red Mages ability to perform actions quickly also made it stand out with the job being able to perform instant casts of its various abilities when the Dualcast trait activates. The Red Mage also offers healer support in the form of healing and resurrection abilities; while they aren’t as effective as a healer’s abilities they are useful, especially when a healer needs a bit of help. In regards to the Samurai, I didn’t play a lot of it, but my opinion hasn’t changed since my Stormblood preview, it feels a bit stagnant and I can best describe the job as an easier to play version of the Monk. With that said the Samurai is proving just as popular as the Red Mage. In terms of combat, Stormblood offers some much-needed battle system changes. The changes see abilities being moved, culled or merged with existing abilities. For example, the Paladin’s Rampart is no longer a Paladin exclusive ability, but it is now a tank role ability. In terms of merging abilities, this involves upgraded versions of existing abilities becoming one, for example, the Red Mage’s Jolt I and Jolt II exist as just Jolt with the power of the ability increasing when you unlock the next highest version of Jolt, i.e. Jolt II. The battle system’s biggest change is the job gauge. The gauge is unique to each job with the gauges offering key job specific information, for example, the Red Mage’s job gauge shows how much white and black mana you have collected in an effort to show you when you can best use your melee attacks. The job gauges are an impressive quality of life addition to the game as job specific information is now in your face and not hidden at the top of your screen under status effects. In terms of instanced content, Stormblood offers eight new four player dungeons and three new eight-player trials. The new dungeons, five of which are levelling and three for max level, all offer a vibrant array of locations from the ship graveyard of “The Sirensong Sea” to the Edo period builds of “Kugane Castle”. In terms of dungeon difficulty, they were challenging, but like any instance, once you learn the mechanics they become a breeze. Since I’m discussing dungeons I have to give a shout out to the second boss in “Bardam’s Mettle”, it is an unexpected treat that took me by surprise. Regarding the three new trials, they are primarily Primal focused and as such offer a far greater challenge when compared to the expansion’s dungeons. Trials are essentially a one boss dungeon without any trash, the fights in each trial requires a large amount of teamwork and concentration as bosses throw wave after wave of powerful spells. When taking part in a trial, prepare to wipe a lot even in their normal/levelling incarnations. In terms of the trial, I enjoyed the most, it would be “The Royal Menagerie”, I don’t want to give any spoilers away, but there is a stage transition that requires you be alert and constantly click on a highlighted portion of the screen, failing to do so can lead to death. So, if PVE content isn’t your thing, how is PVP in Stormblood? Well, the battle system changes I mentioned earlier do changes PVP. The primary change is that when you visit a PVP area you enter PVP mode, this new mode changes your traits and hotbars to their PVP variants. The PVP hotbar reduces the number of abilities to just twelve with seven job-based actions, a choice of two additional situational actions (MP recovery, HP recovery, sprint etc. ), and a choice of three traits (increased HP, increased damage, increased MP regeneration). 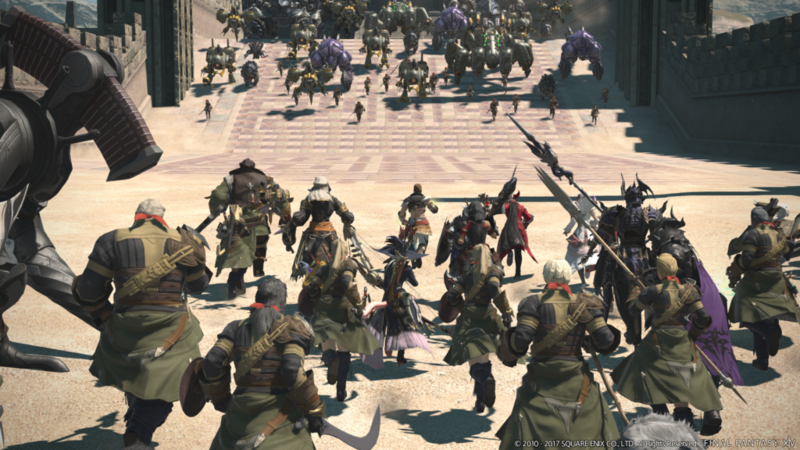 The PVP changes mean that PVP is a more accessible experience with Stormblood as it creates a level playing field for both newcomers and veterans alike. Instances down? Well why not attempt to climb a tower. So, outside of PVP, instances and the story what can you do? Well, there are the usual suspects of exploring, gathering and crafting, but the one side activity that caught my eye this expansion was the sightseeing log, in particular, the ones in Kugane. For those who don’t know the sightseeing log involves going to a specific location, usually only accessible via flying and using /lookout. Now, in Kugane the logs are in tough to reach location and while in all other zones you can just fly to the location, flying is not permitted in Kugane, and as such to reach the locations you need to go through a rather long and I must say an enjoyable set of jumping puzzles, also seeing 20+ players attempting to scale an inn is both as awesome and as hilarious as it sounds. Now, the most important part of any MMORPG is the user interface, mess it up and it can ruin a game, so in Stormblood, how is the UI? Well honestly there is next to no UI changes, the changes to the UI are mostly quality of life changes, for example, the class/jobs tab on the character sheet is now divided into categories and easier to read. Of course, the major change is the job gauge, but I think I already said enough about that earlier in this review. Now, let’s talk issues, the most prominent of which is the game’s servers. During peak times the queue to enter the game can range from thirty minutes to two hours, and during these peak hours, the game’s instance servers can potentially crash leaving dungeons, trials and single player trials inaccessible. The two previously mentioned issues meant that levelling or proceeding through the story became a bit of a lottery, thankfully just over a week after early access launched there have been some improvements, but the instance servers are still prone to breaking at peak times. In terms of graphics, Stormblood offers a good mixture of designs and colour, especially in Othad zones, whose rich colours and far eastern designs makes them stand out from the world around them. In terms of audio, the music is still as strong as ever and the voice acting continues to go from strength to strength, although I do wish more scenes were voiced. Final Fantasy XIV: Stormblood is an enjoyable expansion. While the story does falter at times the overall experience is solid and a worthy investment. For more information on Final Fantasy XIV: Stormblood, visit eu.finalfantasyxiv.com/stormblood/.